Messi will miss playing Inter Milan in the Champions League on Wednesday, and El Clasico against Real Madrid next weekend. He’ll miss three others, including the return game against Inter. 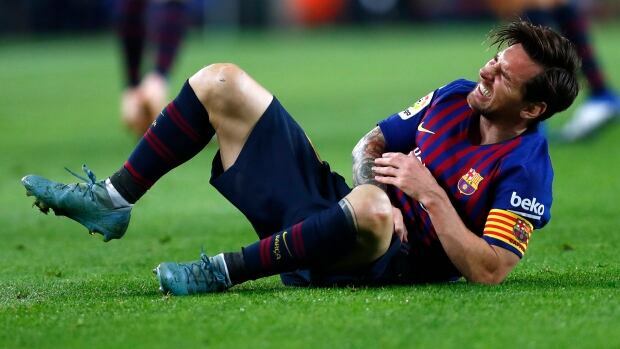 Messi was hurt in the first half of Barcelona’s 4-2 win against Sevilla at Camp Nou Stadium. He was trying to reclaim the ball when he ran into the back of Sevilla midfielder Franco Vazquez and fell in the 17th minute. Trying to cushion his landing, Messi’s right elbow bent badly.